When director Raja Krishna Menon wanted to rope in Priya Seth as the cinematographer of Airlift (2016), one of the producers questioned whether Seth would be able to handle the pressure. For Menon, Seth was an obvious choice to shoot this drama, based on the evacuation of 1,70,000 stranded Indians when Iraq invaded Kuwait in 1990. “Priya’s technical ability, the way she controls a team, and her work ethics were the reasons why I hired her,” says Menon, who has worked with her on over 60 commercials and his feature Barah Aana (2009). If Seth was surprised by the producer’s attitude, she does not show it. In her career spanning two decades, Seth had not witnessed many women cinematographers being picked for a pacy drama like Airlift. “People are more comfortable giving us romantic comedies,” says Seth, who studied filmmaking at New York University. However, such stereotyping of women cinematographers is something the newly-formed Indian Women Cinematographers’ Collective is planning to change. In 2015, Mumbai-based cinematographer Fowzia Fatima decided to bring women cinematographers together as a Facebook group. Now, that their number has jumped from 15 to 70, the members decided that their strength would be better channeled if they formed a collective. “The aim of the collective is to encourage and mentor upcoming women cinematographers, and at the same time celebrate each others’ work,” says Archana Borhade, the cinematographer for Phuntroo (2016), a science-fiction movie in Marathi. Fifteen years ago, a handful of women, including Fatima, Seth and Sunita Radia, who was associate cinematographer for Munna Bhai MBBS (2003), worked on Jal (2014) and has the upcoming action thriller Baadshaho (2017) in her kitty, could be spotted behind the camera. The distinction of being the first female cinematographer of India (and Asia) to shoot a feature film, however, goes to BR Vijayalakshmi, for the 1985 Tamil film Chinna Veedu. Since then, the industry has witnessed a slow but steady increase in their numbers. In spite of that, the discriminatory attitude towards women cinematographers continues and only some of them get to work on feature films. ‘Are you sure you can lift the camera?’ ‘Camerawork is very difficult, can you manage it?’ These are two questions that almost every Indian woman cinematographer faces. “There’s some amount of sexism in all male-dominated fields. In the film industry, the sexism is compounded by the idea that women cannot handle machines,” says Pooja Gupte, who was the cinematographer for the National Award-winning feature film Crossing Bridges (2013), shot in Arunachal Pradesh, and the upcoming Rukh (2017). Big-budget films don’t come their way easily and the perception that woman cinematographers drop out after some years still prevails. That apart, according to Neha Parti Matiyani, the cinematographer for the hit rom-com Badrinath Ki Dulhania (2017) and Waiting (2015), they have to overcome some practical difficulties when on outdoor shoots. More often than not, bathrooms are scarce, inaccessible, and not gender-segregated. 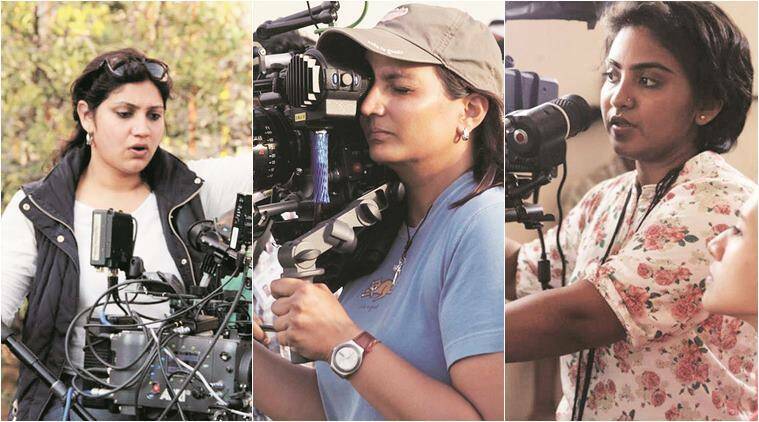 The women cinematographers have their reservations too while picking up projects as some of them remain sensitive to the way women would be presented on screen. “You associate yourself with the type of projects that you believe in,” says Pooja Sharma, who has shot various documentaries such as All Rise for Your Honour (2011) and The Man Who Dwarfed the Mountains (2015). Borhade maintains, however, as do Gupte, Radia, and Matiyani, that there is no such thing as the male/female gaze in cinematography. “If five woman cinematographers shot the same subject, there would be five different films. It’s not like all men will show the wrong side of a woman,” says Matiyani. According to Sharma, the “gaze” depends more on the nature of a project and its director. 2 Kumkum Bhagya 5th April 2017 full episode written update: Abhi feels bad when Pragya is treated as a servant.